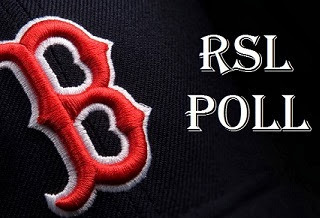 The gritty ballers known as the Boston Red Sox have proved every single "expert" wrong by winning the AL East, compiling the best record in the American League, taking out the Tampa Bay Rays in the ALDS and now found themselves poised to win their third World Series in nine years. With a memorable 3-1 comeback win Tuesday night, the Red Sox advanced past the Rays and await the winner of the Tigers/A's series. Game 1 is Saturday night at Fenway Park. Before the American League Championship Series fires up and Joe Maddon attempts another pitching change, let's look at the Red Sox MVP candidates from the ALDS. Jacoby Ellsbury: Ellsbury hit .500 in the series with seven runs scored, two RBI, four steals and a 1.137 OPS. Shane Victorino: Victorino batted .429, scored two runs, stole a base and drove in three runs. His run scoring RBI infield single in Tuesday night's game winner may have been the biggest hit of the series. David Ortiz: Big Papi hit .385 for the series, but his two home runs in Game 1 off David Price set the tone. Jake Peavy: Peavy pitched the game of his life in Tuesday's clincher. Peavy went a tough 5 1/3 innings giving up just one run and putting the Sox in position to win. Koji Uehara: Koji may have given up the walk-off game winner in Game 3, but where would the Sox be without him. Koji had a save in two of the Boston three wins.